Chuck Tilly was an enormously creative historical sociologist, and he also had a knack for a good title. This is certainly true of his 1998 book, Durable Inequality. The topic is of particular interest today, in the contemporary environment of ever-more visible and widening inequalities that pervade American society. 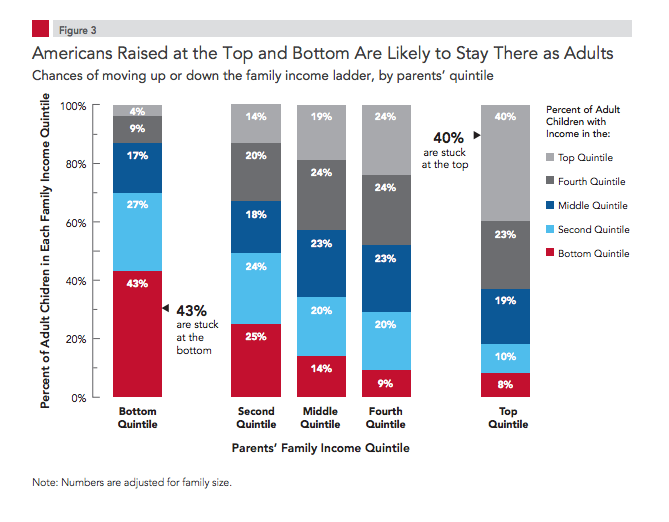 The contemporary facts in the United States are more clearly understood than ever: an increasing separation between the top decile of income and the bottom forty percent of the income distribution, a low level of social mobility relative to European countries, and a high degree of permanent poverty. The Pew Economic Mobility Project provides an important snapshot of social mobility in the United States; link; in brief, the likelihood of the child of parents from the bottom quintile to remain in the bottom quintile is 43%, while the likelihood of a child born to the top quintile remaining there is 40%. So the inequalities we confront in the United States are indeed "durable" and multigenerational. 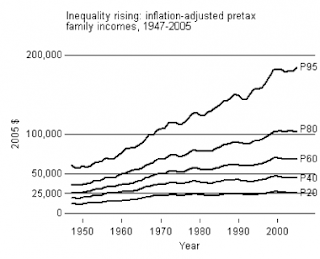 But how do economic and social inequalities come about? This is a large part of the agenda of Durable Inequalities. 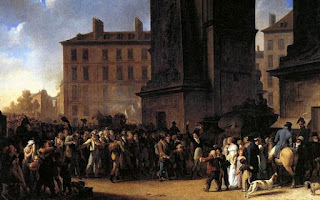 Here Tilly looks at social and economic inequalities from a historical point of view. He is concerned with "categorical inequalities" -- that is, inequalities across groups of people defined by relatively rigid social discriminators. "Durable inequality depends heavily on the institutionalization of categorical pairs" (8). 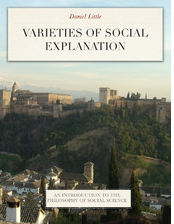 Relevant social categories include gender, race, immigrant status, or rural-urban origins. Tilly begins his book with an astounding statistic about durable inequalities in nineteenth-century England: "poor boys of fourteen averaged only 4 feet 3 inches tall, while aristocrats and gentry of the same age averaged about 5 feet 1 inch" (1). The central intellectual task of the book is to account for how social categories often result in categorical inequalities. Not all categorical distinctions among people result in economic or political disparities across the resulting groups -- for example, "good sense of humor/bad sense of humor" doesn't appear to result in income disparities across the humorous and the humorless. But the male-female wage gap, the black-white wealth gap, and the white-latino education gap all are examples of inequalities that follow from, and are presumably caused by, the categorical status possessed by the two groups. Categorical inequalities are particularly important because they appear to be wholly indefensible. The fact that "skilled/unskilled" workers have differential incomes is not surprising on grounds of productivity and value-added work; but the fact that equally well educated women and men have differential incomes is indeed surprising. The social mechanisms that Tilly identifies as being primarily responsible for inequalities across social categories are exploitation and opportunity hoarding (10). Exploitation, which operates when powerful, connected people command resources from which they draw significantly increased returns by coordinating the efforts of outsiders whom they exclude from the full value added by that effort. Here are a few summary observations about these two mechanisms and how they work within institutions and organizations. Exploitation rests on unequal distribution of rewards proportionate to value added among participants in the same enterprise. Organizationally installed categorical inequality facilitates exploitation. Organizations whose survival depends on exploitation therefore tend to adopt categorical inequality. Because organizations adopting categorial inequality deliver greater returns to their dominant members and because a portion of those returns goes to organizational maintenance, such organizations tend to crowd out other types of organizations. Opportunity hoarding by collaborative agents complements exploitation. Opportunity hoarding operates more effectively and at lower cost in conjunction with categorical inequality. What Tilly is trying to accomplish in this work is genuinely ambitious: it is to establish both a natural history and a causal dynamics of socially generated inequalities. Inequalities are not solely the natural outcome of differences in abilities, talent, and motivation (individual characteristics); instead, they are the result of institutions and social relations that have been strategically crafted over time by individuals and groups for their ongoing advantage. And the forms of group discrimination that go along with categorical differences play a key role in these inequalities. How does this analysis fit with the two graphs provided above of income inequality and slow social mobility in the United States? A careful analysis of the social mechanisms that impede social mobility will certainly include the processes of exploitation and opportunity-hoarding that Tilly discusses; it will include the impact of social categories like race, gender, and ethnicity; and it will include the exclusive social network mechanisms that permit the top segment of the society to retain its place through selection and limited opportunities for the rest of society. So Tilly's historical analysis in Durable Inequalities is highly relevant to our current efforts to understand and address the widening inequalities that we see around us. Thanks for posting this, Dan. It's very informative and important for the current discussion on inequality/mobility. This is very reminiscent of Aage Sørensen's work on rent-seeking. See, for instance, his 1996 AJS paper "The Structural Basis of Social Inequality." Abstract: "This article discusses the concept of rent and its use in analysis of inequality in society. Rents are resources that provide advantages for incumbents of social positions that are independent of the characteristics of the incumbents. Inequalities created by rents generate interests in the protection and the acquisition of advantages that can be said to form "objective" interests attached to positions in social structure. Rent, therefore, is the basis for the formation of classes, in the general meaning of conflict groups. The article also discusses rents not located in positions in social structure but based on natural abilities"